If we look at the signs of times, we can almost predict that it was coming. That’s why in my blog We are Giving our Christian Vote to #Duterte, I always emphasized that the #ChristianVote I was talking about there was a vote in faith for the good Mayor. That despite his moral and family life imperfections, God in His sovereignty chose Mayor Duterte to lead this nation. Many did not understand and disagreed because they associated the man’s ungodly actions to who he will be as a leader when he wins. 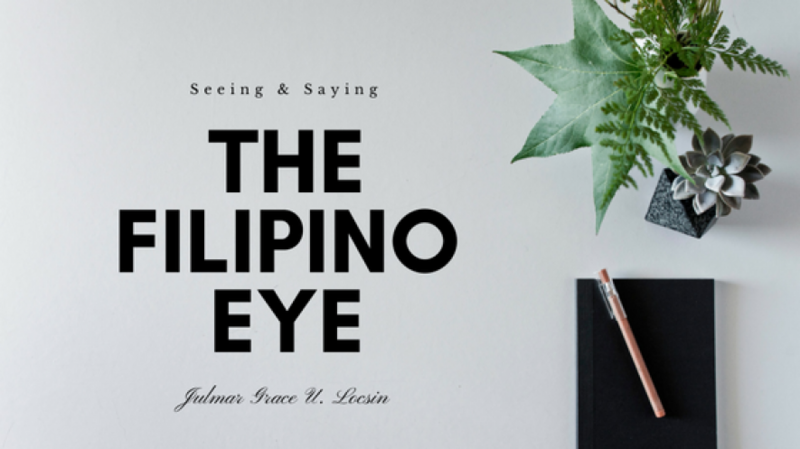 They did see the situation in the eyes of God’s call and plan to the Philippines; His supremacy and Lordship and thus failed to be a positive part of history. You know, everything in life is always by, in, and through Jesus if we put our faith in Him. We have been praying for a spiritual revival coming to our nation but many of us were too religious to experience the Emmanuel Incident as it happened. We need to open our minds, stand in faith and see that Jesus is Lord and His mandate for our people is way beyond what we can comprehend and imagine. These rich families who have been controlling this nation for decades are powerful. They have millions if not billions. They can control the government. They can manipulate our systems. Corruption, because of these oligarchies, have been deeply knitted in all of our nation’s integral and total structure from ground up. They have been lords in this nation hiding in sheeps’ clothings putting our nation in deeper debt and worse condition year after year making change impossible to attain. But what did Duterte do to win? He did not have the money. He did not have the eloquent and politically correct words. He was not statesmanly. He did not have the “hakot” strategy… Instead, it was the people who spent for their own money. It was the young spirited who tore down every lie in social media like swarms of angry bees eating a flower. Despite political and religious restraints of the Aquino administration and the Catholic church, the Spirit of Truth rose up and exposed everything that needed to be exposed. People’s eyes were open to what is black propaganda and not. We were not puppets anymore. We became a revolutionary force. We became a voice… A loud and strong voice. So how did it happen? When those controlling this nation were successful for years and Duterte did not have all the right ingredients to overcome? How did we win? Just like what the Mayor said on the day of election, because it was already time (Ecclesiastes 3). Despite the thick, unbreakable (then) walls of money and power; the Filipino people successfully overthrew those who want to continue oppression in our land because the right time for national transformation is here. Jesus heard our cry. He saw the tears of those crying out in the wee hours of the dawn. The panting desperations of the intercessions… The loud shouts in prayer meetings. He has heard our cry. Jesus rose up and fought for us. Jesus took over and drew His sword over our land. Jesus claimed the Philippines. Because this is His land and we are His Bride. He alone made all these possible. His divine guidance and strength granted us success. He alone deserves all the glory and honor. Nonetheless this revival is not for us alone. It is to equipped us for our call. Because we have a missionary calling. Our mandate is to go and bring the gospel in the Middle East. To bring the salvation of Christ to the Muslim world. To be John the Baptists of our generation and time, and prepare the second coming of Jesus. To function in the Spirit of Elijah in the last days bringing the heart of the Father to His children and the hearts of the children back to our Father. To confront the spirit of Baal who has brought confusion amongst the people of God through the manifestation of the reality of His Lordship. We… all of us who has a Filipino blood all over the world, has a call. We have a destiny. We have a mandate …and we are on the verge of making it all come to pass. Mayor Duterte being in the “high places” toppling down the “statues of this world’s gods” is just a start. Our real fulfillment is seeing the Filipino Church rise up and walk in power and authority in Christ. On the other hand, we are not there yet. The church right now is still satisfied with the old, lame, and powerfless gospel. Our Sunday services across the land are still sometimes routinely and religious. We are not walking in the unction of the Holy Ghost yet, confronting the spirits of the age and expanding the Kingdom of the King of Kings… Sometimes, even in the midst of good music and large crowds, we still look like the world and live like the world when we’re alone. We need the Holy Spirit in this nation. Talk to Him today and start a friendship with Him.